1. 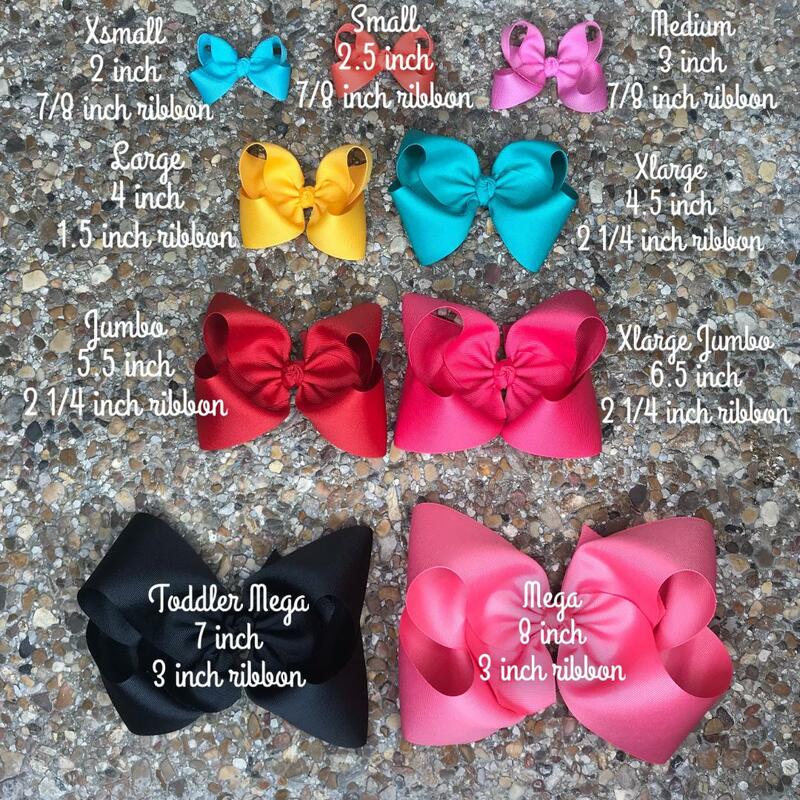 How do I know what size of hairbow to order? updating everything on the site so if you don't see something you need please contact us. 2. What type of hardware do you offer? 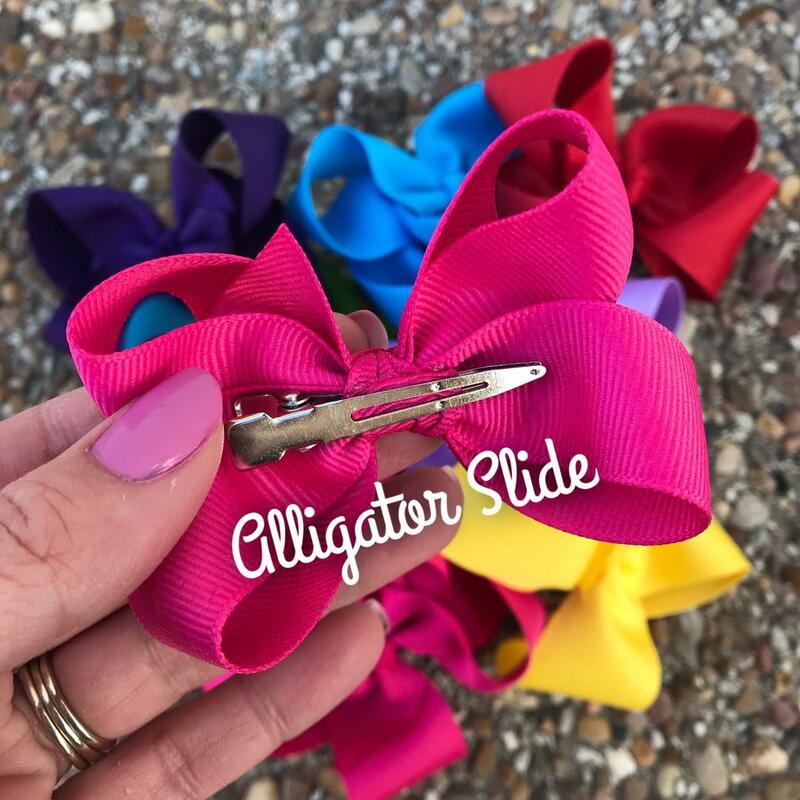 We offer alligator slide and barrettes. 90% off customers choose Alligator Slide. They are easy to put in hair and also compatible with our headbands! 3. How long will the order take to process? Most orders are shipped within 1-3 business days of ordering. During Big Sales the processing time is typically 2-5 business days, however processing time may vary. 4. How much and how fast is shipping? to get to you after we process your order. Takes 1/3 business days to get to you! Plus get tracking and your order moves to the front of the line for fastest processing available! 5. What State do you ship from? 6. 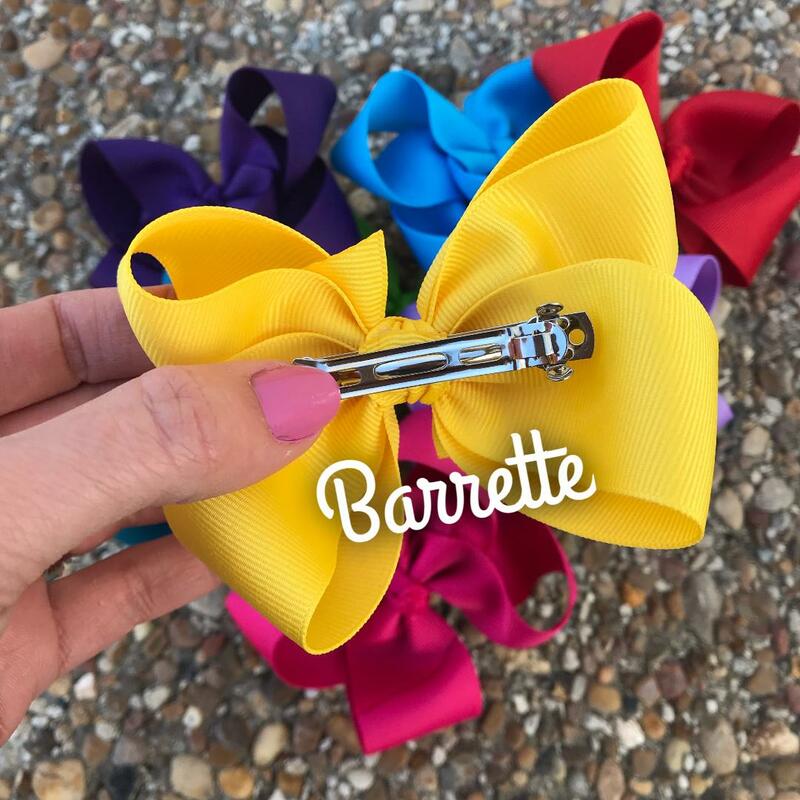 Where are your hairbows made? 7. Do you have a physical store front? 8. What is your office phone number and hours of opperation? answer and we will call you back! 9. What is the best email for questions? 10. Where can I follow you on Social Media? 11. What is the return/exchange policy? 12. How do I go about subscribing to The Bow Box? 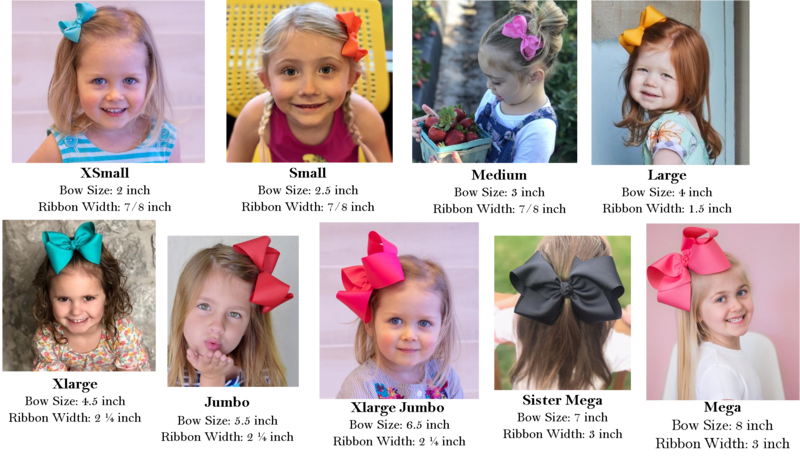 Subscribing to The Bow Box is easy! Click Here pick the current month, click keep it coming. 13. How do I subscribe to The RainBow Club yearly subscription? for an entire year. Your 6th and 12th month are completely free! 14. Is there a way to change payment on The Bow Box or RainBOW Club? Yes, if you need to change your credit card information on file please email or call us. 15. How do I cancel my monthly box subscription? We require a 7 day notice on bow box cancelations. and let us know that you wish to no longer receive it. We will email you back once we get your request to cancel. 16. Where can I read on customer experiences? We have so many positive reviews on Google! Click Here to read them! 17. What other offers/incentives does your company have? Our Mobile Club for exclusive deals is worth it! Enter and you could Win a Free Bow Box! Winner texted every Weds. 4 Msgs/Month. Reply STOP to cancel, HELP for help. Msg&data rates may apply. 18. How do I clean my hairbows? throw them in a mesh washable bag or just throw them in the washer with clothes or by itself. metallics & sheers due to they are very delicate. 19. What Do Your Sizes Look Like On? 20. Tell Me More About What Ribbon Widths You Use For Each Bow!